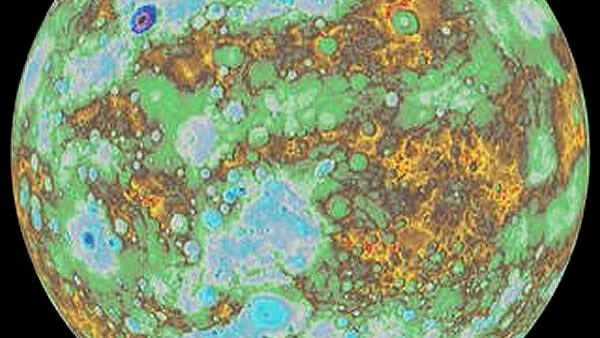 NASA and the USGS created a topographic map of the closest planet to the sun. It's a view of Mercury that no one has ever seen before. They did it by using more than 100,000 pictures taken from NASA's messenger spacecraft. The topography reveals mercury's highest and lowest points. Areas with higher elevations are colored brown, yellow and red and those with lower elevations appear blue and purple. Click here to read more about NASA's report.